Many times after epic breakups of power groups, one or more of its players emerge with an ersatz album. As You Were could have fallen into that trap, thankfully it’s not the case. 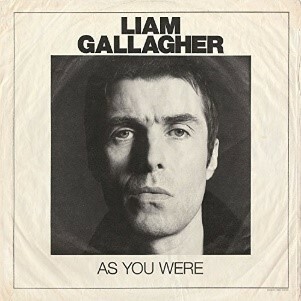 Don’t dismay Oasis fans, there still are those indulgent moments on tracks like “Paper Crown.” What does shine through is Liam’s affinity for John Lennon. This is clearly evident on “Chinatown,” and “I’ve All I Need.” Emotionally the tunes are relationship motivated, tunes about being in, or getting over a relationship. These themes are well represented on “I Get By” and “Come Back to Me.” Certainly, no relationship exploration would be complete without self-justification, which is brashly edified on “Bold.” No fluff or filler here cats, it’s all rather swagger and at times vulnerability. So that’s the short of it!